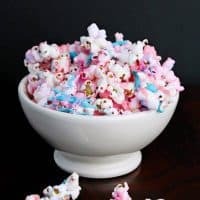 Unicorn popcorn is an easy to make and colorful treat that is perfect for your unicorn themed birthday party or unicorn sleepover! Oh, my good golly gosh! Who doesn’t get excited over unicorns? Sure, you may be in your late 20s or somewhere in your 30s, but there’s just something about unicorns that make people smile. 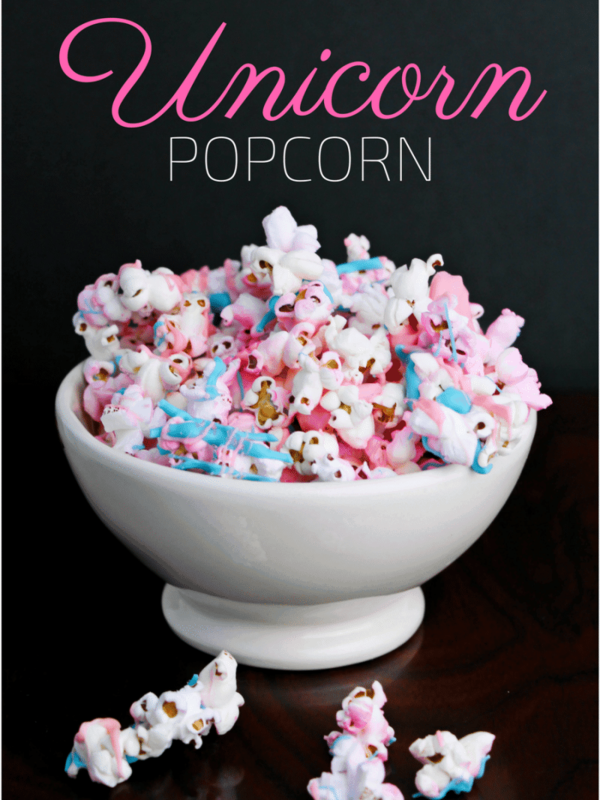 If your little ones love unicorns as much as you do, they are going to love this unicorn themed popcorn recipe. Not only is this unicorn popcorn delicious, but it’s so colorful too. This would be the perfect unicorn themed snack for a unicorn sleepover or a unicorn themed birthday party. You could even package up your unicorn popcorn up in treat bags to give out as party favors. 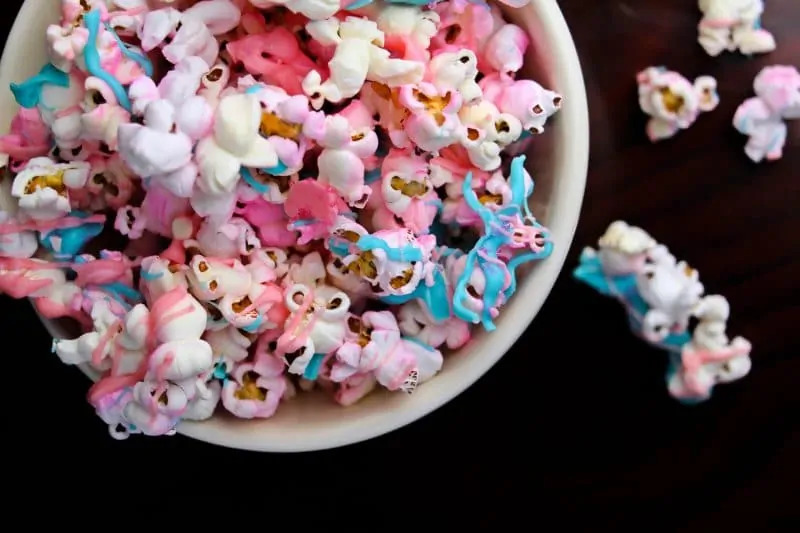 With it's pink and blue color scheme, this popcorn would make a great gender reveal party food as well. 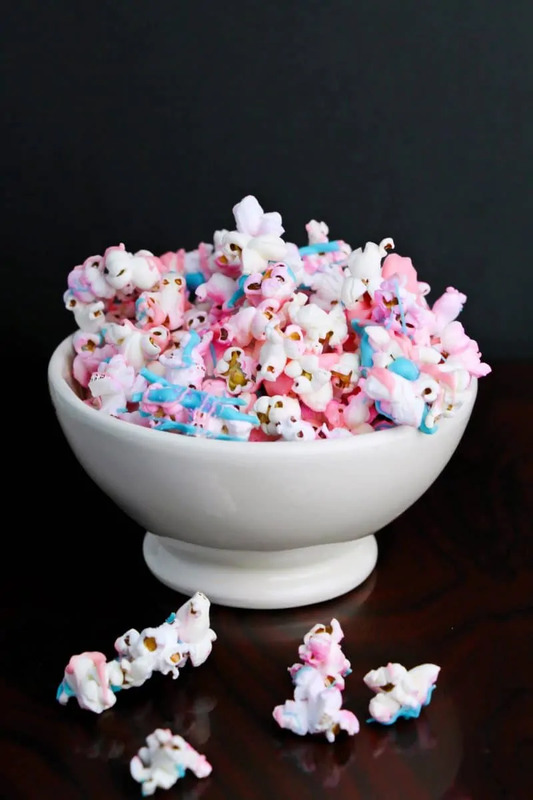 No matter what the occasion is, your kids are going to be so excited for this fun and colorful unicorn popcorn! We used air popped popcorn but you could use plain bagged popcorn to make the recipe even easier. Just make sure that your popcorn is plain flavored rather than buttered. 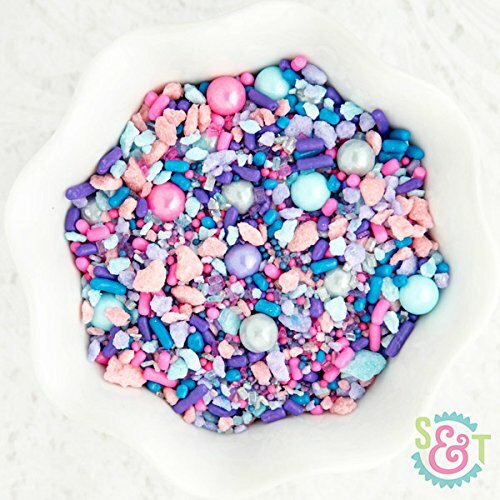 Also, we used regular pink and blue colored sprinkles with this recipe, but I found some totally adorable unicorn themed sprinkles that I plan to use next time! 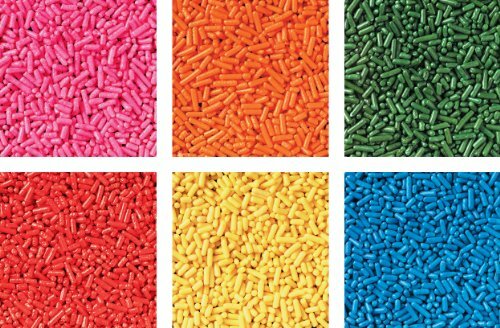 You can check out those fun unicorn sprinkles in the shop supplies section below. Spread popcorn out on two cookie sheets and then spray lightly with pink food spray. 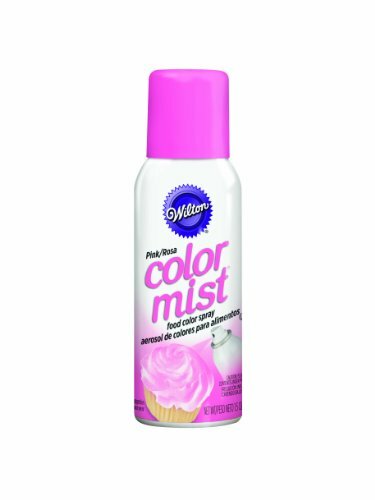 Turn the popcorn over and spray again to coat the other side. Allow popcorn to dry as you prep the candy melts. 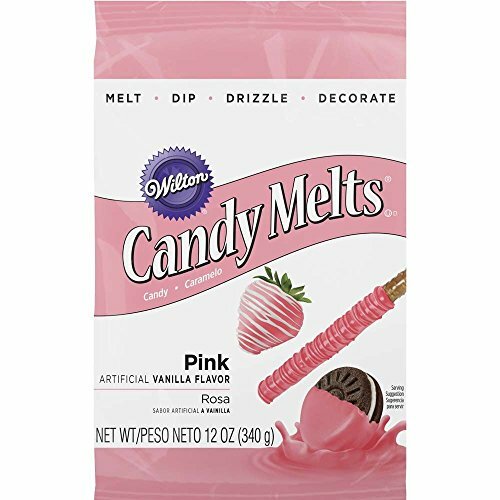 Place each color of candy melts in a small microwave-safe bowl. Heat for 25 seconds, stir, and reheat as needed. Add in 1/2 teaspoon or more of coconut oil to make the candy melts more liquidy and easy to drizzle. Drizzle half over the popcorn, add sprinkles, let dry. Reheat the candy melts and toss the popcorn to coat the other side with the second drizzle. 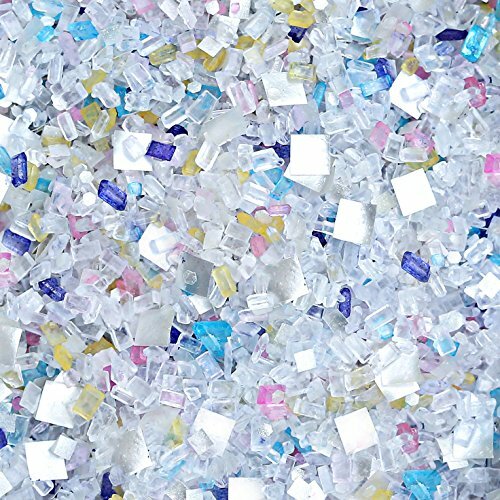 Let dry completely before serving or packaging. Pop your popcorn in an air popper or use plain bagged popcorn for ease. Just make sure the popcorn is plain rather than buttered. 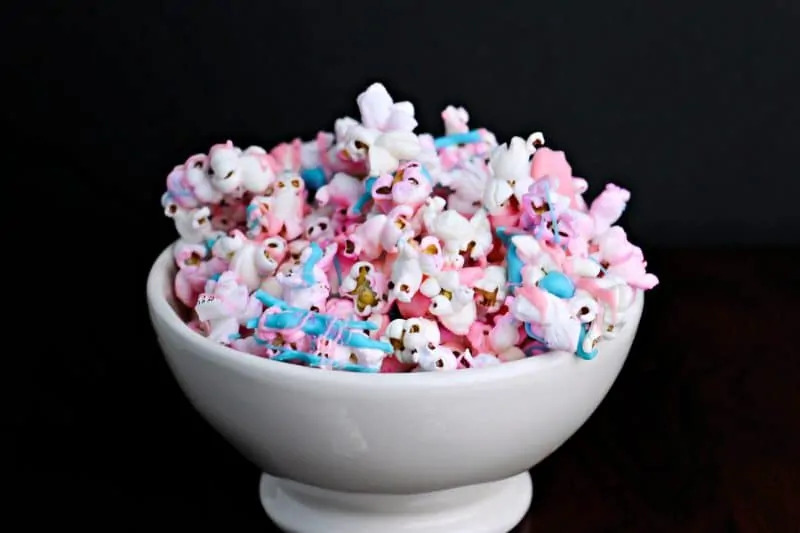 I absolutely love this idea of unicorn popcorn!! We are huge magical fans of any sort especially when it comes to sparkly stuff & beautiful colors!! 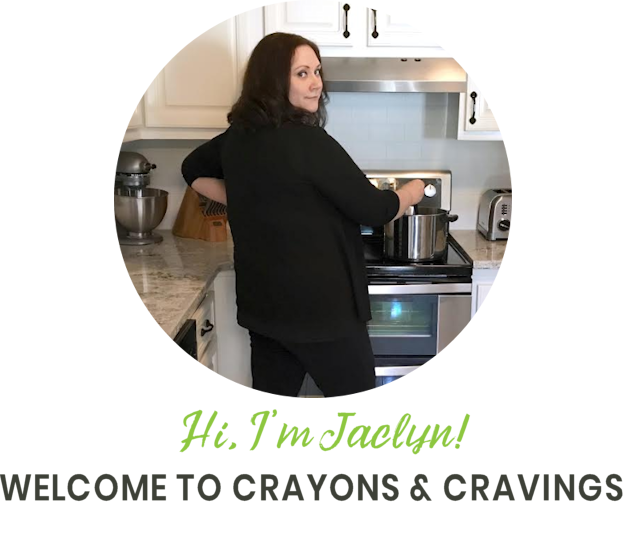 Perfect for any party, sleepover, or even just a fun thing to do with a friend over! Thanks for sharing! I love this idea!!! The colors came out so beautiful and it looks so yummy! It sounds easy to make so I will definitely give this a try. Thank you! This is awesome! My daughters would flip over this popcorn! This is fantastic! And so very pretty! That is so cool. Thank you for the recipe. My kids would love this treat. Omg! My 6 year old granddaughter is unicorn crazy! She would absolutely love this popcorn! This is so much fun! Perfect for sleepovers. Did the sprinkles make it taste funny or have a funny feature? Do you salt the popcorn before adding the coloring or just leave completely plain? Yes, you can salt your popcorn to taste before beginning. What popcorn should i use?? I have no idea, where should I go to get it? Are white kernels better or yellow kernels? If I make this the afternoon before my daughters bday party, will it still be good the next morning? Hi Ava! Sure, that would be fine – just store the popcorn in an airtight container until ready to serve. 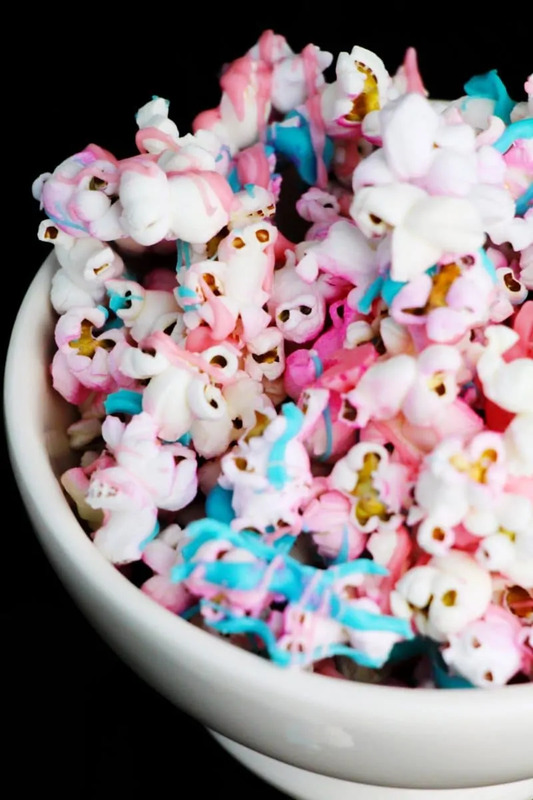 This colorful, festive unicorn popcorn is so delicious! It’s perfect for birthday parties, movie nights, and all year round! This is adorable!! Such a fun recipe.